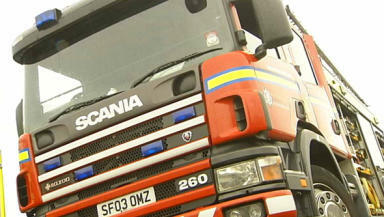 Emergency services were called to the scene at Redwell Cottages, Whitehills at 6.30pm on Saturday. Firefighters put out the blaze and found the body of a 50-year-old man inside the property. Detective Inspector Michael McKenzie of Police Scotland said: "A joint investigation will be carried out with the Fire Service to establish the cause of the fire, but at this stage there do not appear to be any suspicious circumstances.